With summer rapidly approaching, the warm weather and call of the open road makes it the ideal time for a road trip. Piling into your car with family or friends for a road trip is a great way to explore the country en route to your final destination. Additionally, when done right, a road trip is often a more cost effective alternative to air travel, which is a huge bonus in this difficult economy. We would like to share a few tips that will prepare for your trip, keep things cost effective, and most importantly, help you enjoy your time on the road! 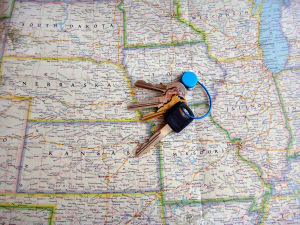 A well thought out and organized road trip can save you time and stress during your car-based vacation. Preplanning your routes with maps and GPS will help to ensure that you see everything you want in your allotted travel time. Be sure to take your vehicle into your mechanic before any long distance trip to make sure the basics such as tire air pressure, wheel alignment, oil and engine function are all up working and up to date. Not only will this check-up put your mind to ease about the condition of your car, but according to Forbes.com, small improvements such as these can help improve the mileage in your vehicle, which will come in handy in the next section about saving money. Gas prices are typically on the rise in summer months, but with a little planning and persistence, you can find the best deals and keep your summer adventure within your budget. The US Energy Information Administration predicts gas prices will rise to around $3.80 per gallon during the summer of 2011, and will break $4.00 in many locations. Pay attention to gas prices as you go and compare the costs before purchasing. Oftentimes, stations right along the road will be tourist traps with inflated prices, so shopping around will help you save. If you have a smart phone, consider using an app like Triptik or Gas Buddy, discussed in our recent blog Smartphone Apps Worth Trying that will help you locate the best gas prices in your area. You should also plan ahead and pack snacks and drinks for the trip to avoid costly convenience store prices along your way. Even though it is tempting to squeeze everything you own into your car since you are not restricted by the strict airline baggage requirements, you should limit the amount of stuff you take on your road trip. It is important that all passengers have enough room to be comfortable and that safety features such as airbags and seatbelts are not restricted by the clutter. You should also avoid stacking items in the rear of the car as these can cause dangerous visual impairments for the driver. Give yourself plenty of time to travel to each destination on your road trip plan so you do not feel pressured to speed or drive dangerously to make a deadline, and share driving responsibility with other drivers to minimize fatigue and reckless driving. Once you have minimized the stress of a road trip by planning ahead, saving money and being safe, the only thing left to do is maximize your fun! Road trips are a great time to bond as a group and share in an adventure, so consider taking out the headphones, putting down the games and enjoying the company. Encourage your passengers to sing songs, play games and even create a scavenger hunt ahead of time with items they need to find along the way. Make a great road trip music playlist with songs that will appeal to everyone in the car and bring a couple of books on tape if you need a change or pace. In the planning phase of your trip, be sure to work in stops to see unique and quirky roadside attractions such as the world’s largest rocking chair or a house built entirely out of aluminum cans to help break up long stretches of driving and provide you with some memorable photos of your summer road trip.